These beautiful hi-gloss piano finish plaques are one of our most popular patent plaques. Plaque is engraved on a Black Metal Plate, mounted on a piano finish wood board, and accented with bright metal trim. This piano finish board is also available in our Portfolio Series and Presentation Series. Also available with our Silver HD or Gold HD Plates. 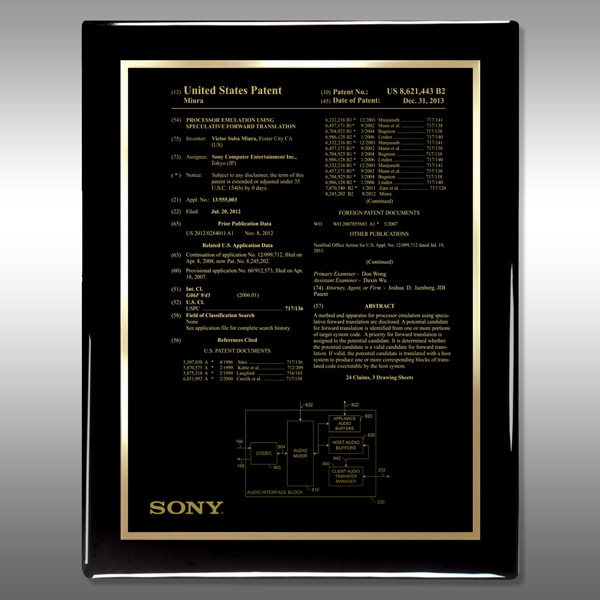 This Patent Plaque - Black Piano BP-BB13 is part of our Genuine Series of products, check out other products & options available in the Genuine Series of our selection. This Patent Plaque - Black Piano BP-BB13 can be modified to your requirements and is available for your corporate award programs.